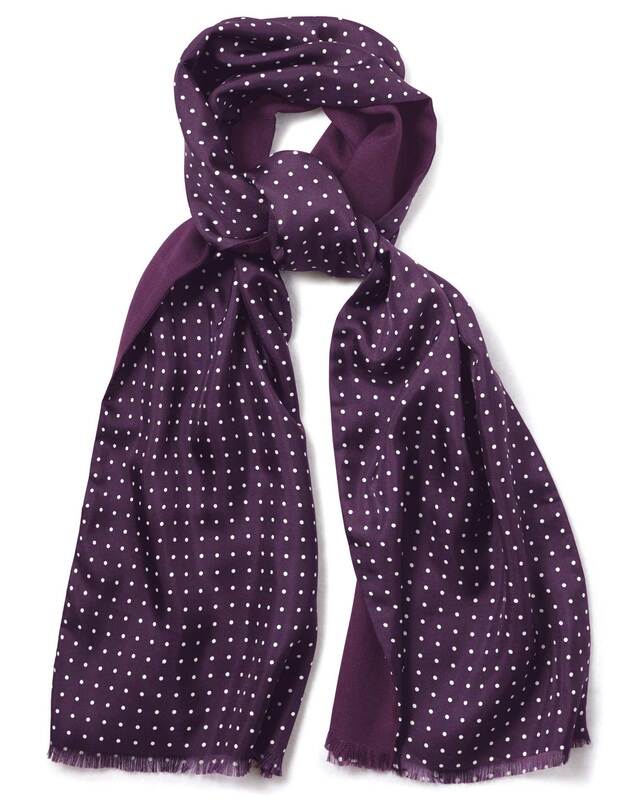 "Silk on one side, wool on the other; this show-stopping scarf offers double the fun. I think it looks great on a cold day when you need to stay warm but look very dashing indeed." "A combination of silk and wool makes this scarf smart, warm and luxuriously soft, while the dashing print is guaranteed to pep up your look."